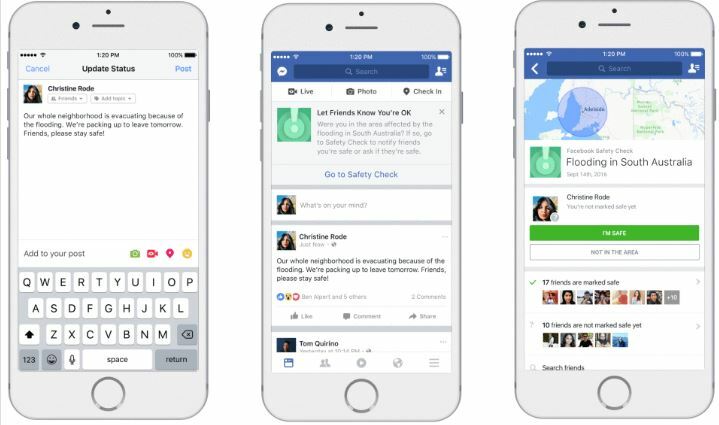 Keeping in consideration the safety of people immediately after natural disasters, Safety check feature which used to be activated by Facebook will now completely depends on the community. It can be activated by the communities themselves. Along with it, Facebook has announced the launch of Community Help, a feature that enables Facebook users to ask or offer help following natural disasters. Safety check feature was launched in 2014 to know if people are safe in the aftermath of disaster easier. Initially, Facebook had to turn on this feature, now Community can do on its own. When a large number of people post about disasters, they will be asked if they are safe. They can mark themselves as safe and invite their friends to do so. After marking safe, people can use Community help tool to seek for help if needed. Facebook has also expanded the tools of fundraising and donation button to live videos and posts. These tools of community help and fundraisers will be officially launched in January 2017.